This shop has been compensated by Collective Bias, Inc. and its advertiser. All opinions are mine alone. 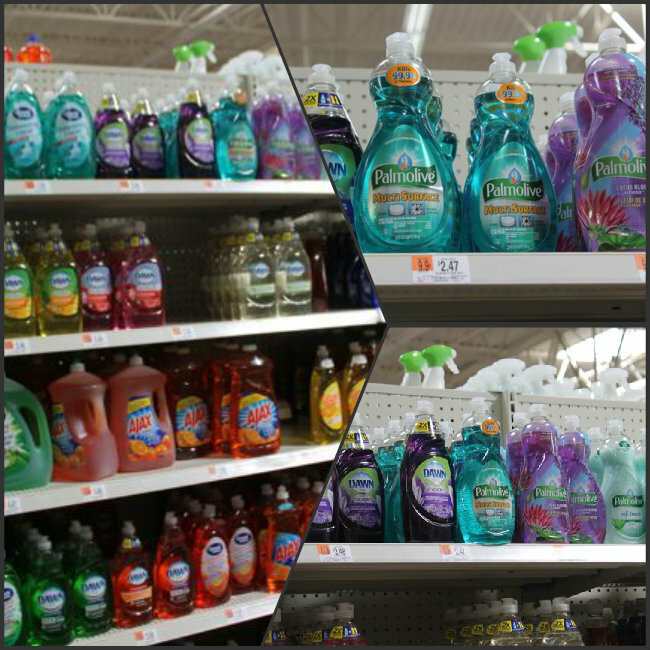 #PalmoliveMultiSurface #CollectiveBias. 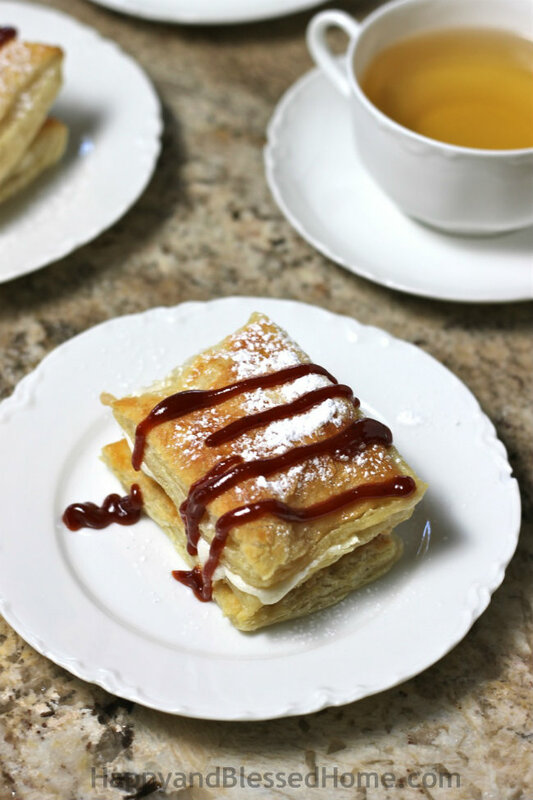 Here I’ll share a delicious and easy recipe for creating Cuban style Guava and Cream filled Pastries, and why Palmolive® Multi Surface dish soap is the perfect cleaner for preparing your countertops for baking. Our family is enjoying the company of my parents over the next two weeks and together we are celebrating my son’s 5-year-old birthday and spending some time together building memories with the kids. This recipe for a Cuban style Guava and Cream filled Pastry is inspired by my Dad who is from Cuba. When I was a little girl, my dad’s parents lived in Miami. Whenever we went to visit my grandparents we would get a box of pastries from La Rosa Bakery. I wanted to recreate the delicious guava filled pastries from La Rosa so I asked my dad for some help. With a few tips from my dad and a little baking know-how. 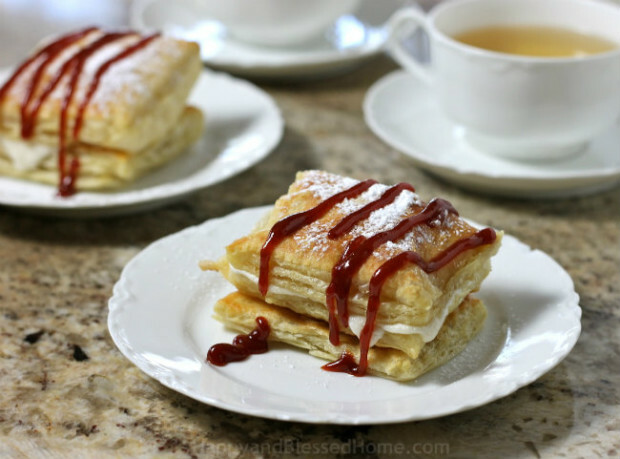 I created these delicious Cuban style Guava and cream filled pastries so that together, our family could remember the meal times with my grandparents where we would sit and eat spanish style pastries and laugh and tell stories and just spend time together. This dessert is perfect for families who want a sweet after dinner treat. It’s a light and flaky pastry filled with a sweet and aromatic guava paste complimented by a thick, buttery cream. 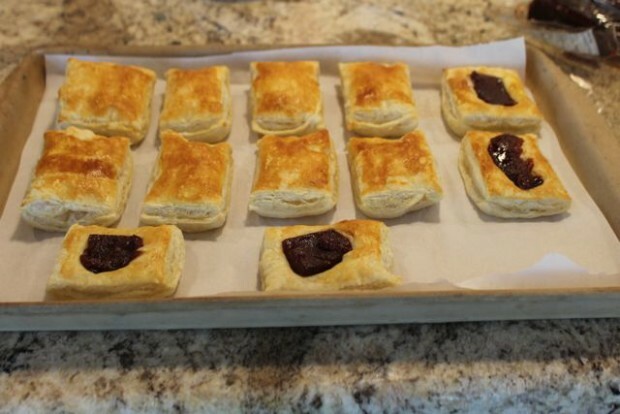 Since I used a pre-made puff pastry baking sheet, these are also very easy to make. 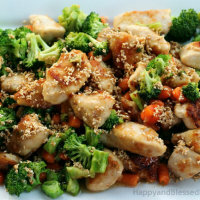 It’s an easy recipe with decadent flavor and texture. Before you start, you’ll want to make sure your countertops are very clean. 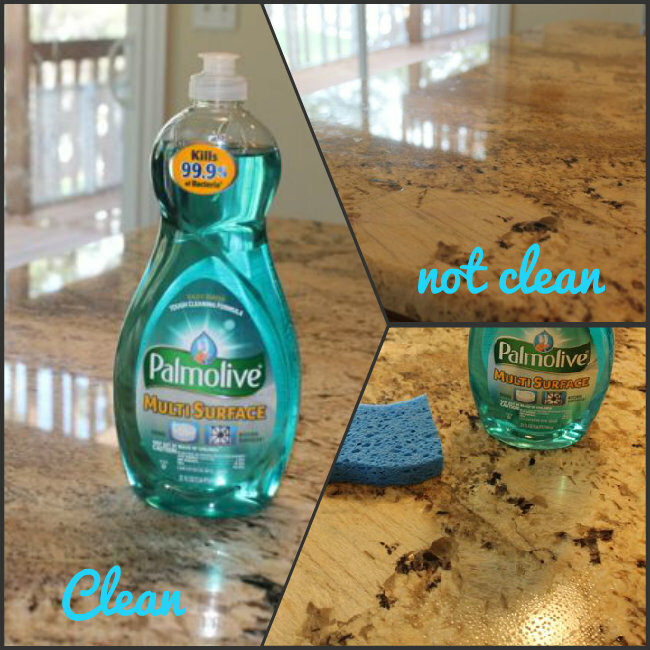 I used Palmolive® Multi Surface dish soap to clean my granite countertops before I set out my puff pastry sheets. This dish soap is the perfect addition to my kitchen since it not only got my white french china perfectly clean for these photos, this dish soap is formulated to kill germs. In fact, Palmolive® Multi Surface eliminates 99.9% of bacteria (*staphylococcus aureus, Salmonella enterica and E. coli (157:H7)) from dishes and hard non porous kitchen surfaces. So not only does it get surfaces shiny and clean, it ensures that even the things I can’t see (like germs) are eliminated. It’s great peace of mind for someone who is spreading puff pastry dough out on the countertop. 1 Package of Guava Paste – 14 oz. Step 1: Defrost puff pastry sheets for 40 minutes. 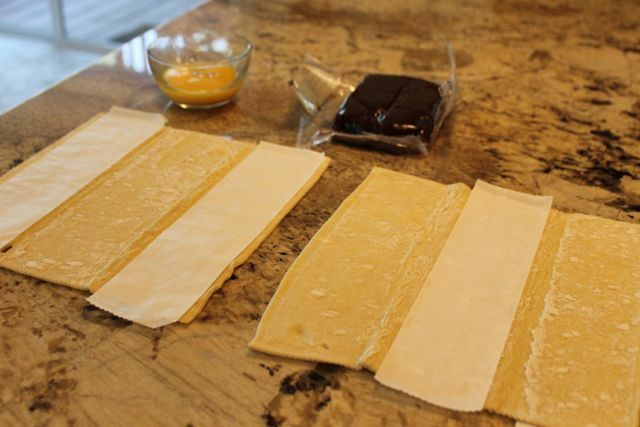 Unfold the pastry sheets once they are partly defrosted. Thawed sheets should still be cold. Step 2: Preheat oven to 400 degrees. 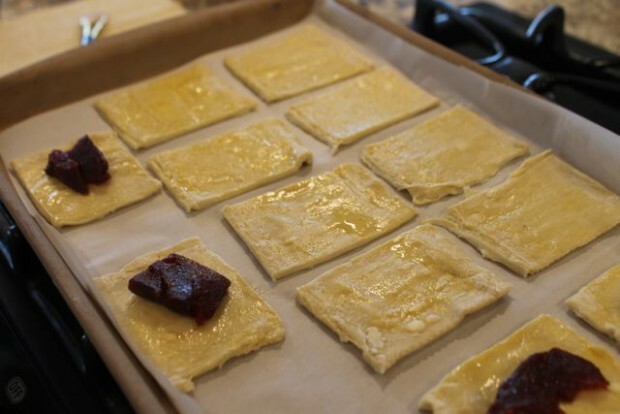 Step 3: Using a knife cut the pastry sheets into rectangles. I cut along the seam of the puff pastry sheet fold and then I made four perpendicular cuts to create 12 rectangles. 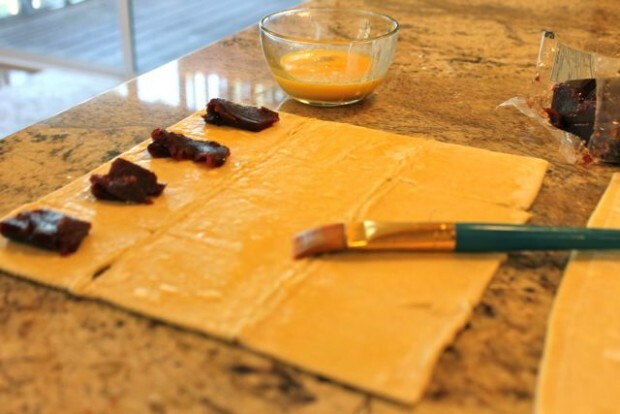 Step 4: Whip up the egg and use a brush to paint some of the egg mix unto the surface of the pastry sheet rectangles. Step 5: Cut 4 hunks of the guava paste (approx. 1 tablespoonful each) and center them onto four pieces of the puff pastry sheets. Step 6: Use a spatula to move the puff pastry rectangles to a parchment lined cookie sheet. Space them apart to allow the pastry pieces to expand. Since you’ll be stacking your pastry together – only four pieces have the guava paste on them. 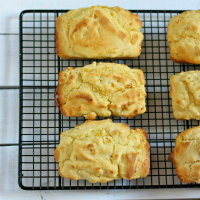 You will bake these at 400 degrees for 10 to 15 minutes. My oven runs hot so my pastry sheets baked up in 11 minutes. Keep an eye on these to ensure you do not burn the pastry sheets. Step 7: Assemble your pastry. The piece of pastry sheet with guava paste on top will go on the bottom. Stack another piece of pastry on top of the guava piece and cover the pastry piece with the cream filling (directions for cream filling below). The final step is to add a third layer of pastry on top of the cream covered layer. Step 8: Sprinkle on some powdered sugar. I use a powdered sugar sifter to add the powdered sugar to the top of my pastries. To create the “sauce” of guava, I took a two tablespoons of guava paste and put it into a bowl. I then added two tablespoons of water to the bowl with the guava. I microwaved the bowl on high for 25 seconds. Once hot, I mixed the guava and water to create a “sauce”. Repeat heating and stirring as needed to make the sauce smooth. I put the sauce into a baking syringe and dispensed it onto the tops of the complete pastries for the perfect serving display. The recipe ingredient quantities for the cream filling will make more cream then you will need. 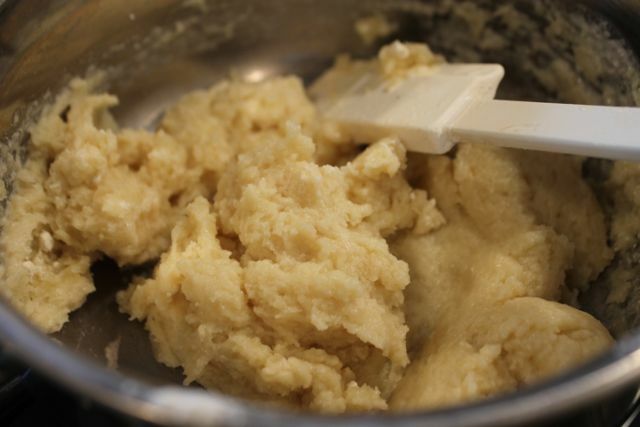 Reduce the recipe as needed depending upon how many pastries you plan to make. For one pastry sheet use only 1/4 of the cream recipe, for two pastry sheets make half the recipe quantity outlined above. The recipe description below covers the full recipe quantities as outlined in the ingredients section above -just something to keep in mind. Step 1. In a small pot, stir 4 tablespoons of the flour and the 1 teaspoon of vanilla extract into the heavy cream and heat, stirring constantly, until it thickens (you want it as thick as peanut butter). Step 4. 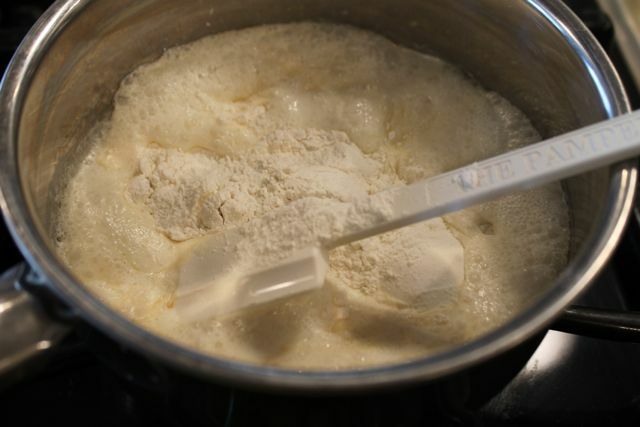 Once the butter and sugar is mixed into a creamy smooth state, add it to the cooled flour and heavy cream mixture. Use a mixer to beat together the two mixes until they are completely smooth and combined. The final version will resemble whipped cream. I found all of my baking supplies at Walmart. The Guava paste is not available in all cities, to order it online click here: order guava paste. I found the Palmolive® Multi Surface dish soap in the home cleaning aisle with the other dish soaps. Do you have a dessert that reminds you of your grandparents? 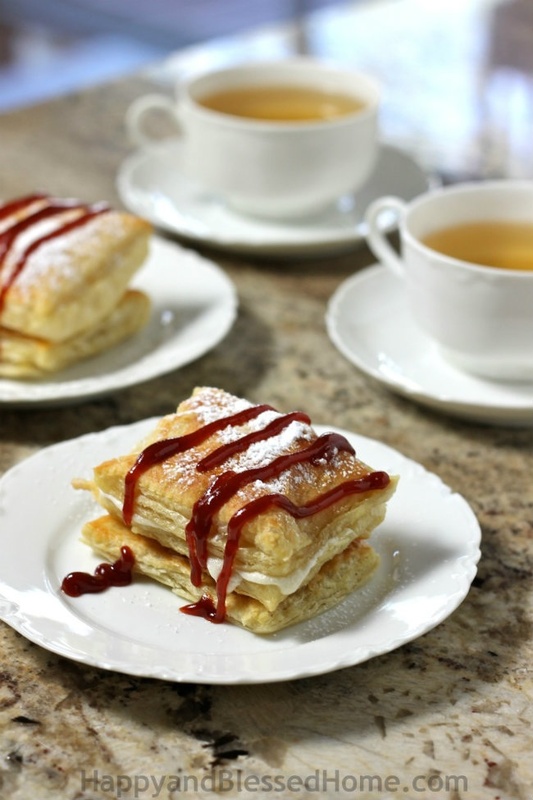 I think you’ll enjoy this recipe for Cuban style Guava and Cream filled Pastries. These are a tribute to my latin heritage and my grandparents. Do you have a dessert that reminds you of your grandparents? What types of foods remind you of family gatherings? Please leave a comment below and join the conversation. I love hearing from my readers. Where do you find guava paste? This was one of the links I found where you can order a single container and won’t have to order a case of 12. I hope that helps! It looks delicious! I will pin it.. I must make some :)! You can’t imagine how much I love this pastry. In colombia, we have something very similar called pandeyuca, known as ¨pan de queso¨. I love guava! “Pan de queso” sounds delicious! We also love guava in our family. 🙂 Enjoy! This looks really good! and puffy! I bet it’s delicious! Thanks Blanca – it is so yummy – it’s a family favorite! 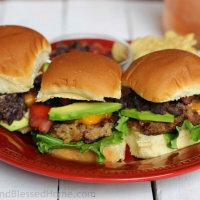 Can these be made during the day, and enjoyed later in the evening? Absolutely. We live in a dry climate so I could just cover these with a paper towel and eat later. If you live in a humid climate (and you worry about soggy crust), you may want to store these in the fridge and just reheat them in a small toaster over if you like to eat them warm.